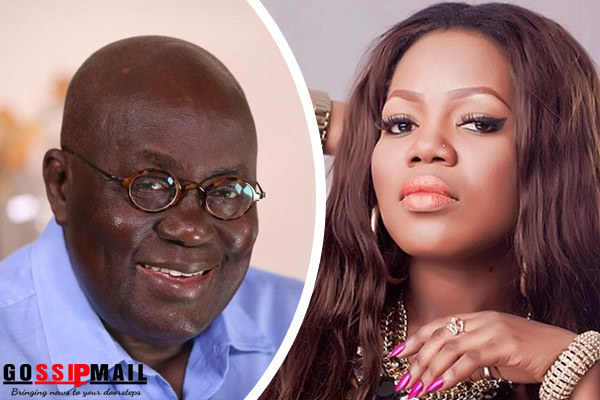 Renowned hiplife artiste Mzbel has revealed she is mostly mesmerized by the voice of Ghana’s president Nana Addo Dankwa Akufo-Addo. Speaking on 3FM‘s Showbiz 927 hosted by Nana Kwadwo Addo, the controversial and outspoken female artiste said even though President Akufo-Addo was not his favourite candidate for the 2016 elections, she falls in love with his voice anytime he speaks. Mzbel was a Number One critic of then Presidential Candidate Nana Akufo-Addo in the run up to the 2016 elections. She had thrown her support behind John Dramani Mahama, whom she adored as handsome for the presidential position. The Sixteen Years hitmaker has claimed she will campaign again for Mr Mahama but this time with a lot of caution.